I’m sure that, like me, you’re very excited about the holidays, right? Hmmm…what’s that noise I’m hearing out in cyberspace? Well, clearly some of you are not as well-informed as you could be about the major holidays – Christmas, New Year’s Eve, New Year’s Day and of course, one of my favorites, Local Quilt Shop Day! That’s right! It’s just around the corner! In 2019, it falls on Saturday, January 26th. Local Quilt Shop Day is the ideal anecdote for winter doldrums. Do you know what else is great about it? It doesn’t require you to cook anything, bake anything, decorate anything, or even buy anything. The only thing you have to do to celebrate Local Quilt Shop Day is – you guessed it – visit your local quilt shop. It’s a stress-free, guilt-free, wallet-free holiday. It’s an internationally celebrated holiday that emphasizes the importance of local quilt shops to our local economies. (Remember that line if you have to explain a fabric splurge to your husband later). Now, I’m not saying that it’s not possible that, while you’re in that local quilt shop, you might open that wallet and buy yourself a present, but that’s entirely up to you. Anyway, in honor of Local Quilt Shop Day, I thought I’d tell you about some of my favorite online quilting blogs, websites, and resources. Before we get started, let me say that I believe that the best place for you to purchase quilting fabric and supplies is your local quilt shop (thus the holiday). I’m lucky enough to live in an area where I can visit and patronize four excellent local quilt shops by driving no more than 45 minutes in any direction. And I do patronize them, on a regular basis. Doing so is a pleasure and shopping local whenever I can ensures that I’ll continue to have access to those excellent shops in the future. When it comes to choosing fabric, there is no substitute for touching the yardage with your own hands and seeing the colors with your own eyes. However, some people aren’t lucky enough to have four wonderful quilt shops within driving distance of their home, or even one. 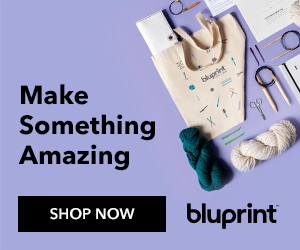 And so, for those quilters (and also because even an excellent local shop can’t carry everything you might want or need) I’m sharing a few of my favorite online sources for fabric, patterns, and quilt supplies. When I need a dose of textile-based inspiration, French General is the first place I go. This is, in my opinion, the prettiest site in all the Internet with the most beautiful photos. It goes without saying that the fabric is magnifique but they also offer beautiful products for embroidery, jewelry making, and weaving. More than 300 of the biggest names in quilting have appeared on The Quilt Show, an internet program hosted by Alex Anderson and Ricky Tims. Membership is required to access most of the over 220 episodes, but you can view a few for free. Also, The Quilt Show Daily Blog for posts and links to some of the most interesting quilt content across the Internet. This is a must stop for anyone interested in the history of quilts and quilt makers. Check out “Quilters S.O.S. – Save Our Stories” – to listen to interviews with some remarkable quilters such as Denyse Schmidt, Joe Cunningham, Victoria Findlay-Wolfe, and Carolyn Mazloomi, to name a few. See photos of quilts and hear the stories behind them in the Go Tell It At The Quilt Show project. Moda Bakeshop features pictures and guest posts from all manner of quilt bloggers and designers, many including free patterns. Whenever I visit the Bakeshop, I always find a new project I want to try. If you know me at all, you know I am a HUGE fan of Deb Tucker’s patterns and amazing tools. Deb’s tools make stitching even complicated or teeny weeny quilt blocks sew much easier! And for us visual learners, Deb’s YouTube channel has terrific video tutorials on every tool in the line. * Ahem * Did you know that you there are now nine downloadable companion patterns to my books available on my author website? Did you know that they’re free? I’m sure that practically every quilter on earth has heard of the Missouri Star Quilt Company by now. But, just in case you’ve been out of the loop, you definitely need to check them out! 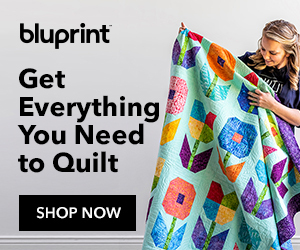 Owner Jenny Doan’s amazing, free video tutorials, with an emphasis on pre-cuts, will teach you to make beautiful quilts quickly. This website and blog, created by the Meredith, publishers of well-known quilt magazines such as American Patchwork and Quilting and Quilt Sampler, is loaded with free patterns, instructional videos, and technique tutorials. I could spend all day here! Writer and quilter Meg Cox has a wonderful website and blog but her monthly newsletter, A Quilt Journalist Tells All, is a must read for me, loaded with actual news from the world of quilting. Applique aficionados will especially love Annie Smith’s website and blog but there is something here for everyone, including Annie’s blog and podcast, Annie’s Quilting Stash. Annie has recently moved to a new website and is still in the process of moving her archives to the new site, but there is still plenty to see here. Jamie Fingal’s “Twisted Sister” blog is one of my very favorites. Jamie’s bright, happy, whimsical designs always make me smile and I always love reading about her adventures and creative process. Jamie has a newsletter as well, which I highly recommend. Dori and Katie, mother and daughter, and partners in creative crime, host a blog and podcast focused on their quilting projects and crafty adventures. Lots of fun to listen to! My sister author Frances Dowell is the delightful host of the Off Kilter Quilt, a podcast focused on quilts and creativity with occasional forays into the world of writing quilt fiction. Author, teacher, pattern designer, blogger, and podcast host – Pat Sloan does it all and her blog reflects that. There’s a bit of everything here – blog posts, sew alongs, block of the month projects and, of course, Pat’s online talk show. All of it’s good! If you’ve read any of my books, there’s no problem that a sisterhood of quilters can’t solve. And if you read my blog on the regular, you know I firmly believe that crafting (and quilting, of course) are the secret ingredients for a life of joy, fulfillment, and eternal youth. So reach out and build your sisterhood! The best place to start is popping by your local quilt shop on Saturday (you never know who you’ll meet!). But remember that this enthusiastic support doesn’t have to be a one day thing! I love following all of my quiltalicious friends on Instagram, Facebook, Pinterest, etc. so I can get daily nuggets of inspiration all year long.